Add an effortlessly chic touch with these glamorous Meander earrings. 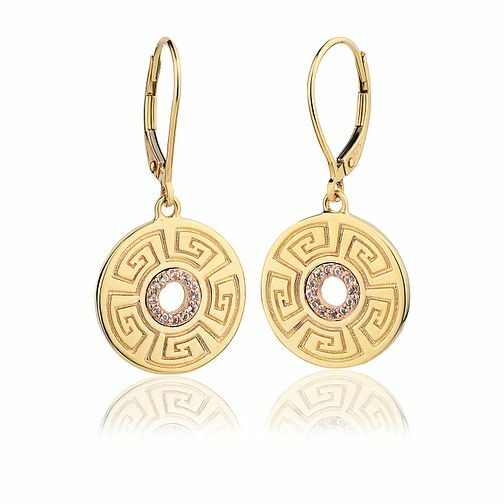 Crafted from 9ct gold, these gorgeous drop earrings feature a round charm with a unique mosaic engraving, cut-out center, and inside border of captivating sparkling white topaz stones. This beautiful pair make for an uncomparable understated stylish accessory, versatile for adding style and shimmer to day or night looks.